DH Lawrence stayed on the lake for months at a time and would write the final version of Sons and Lovers here. Savour the masterpieces created from the regions bountiful produce, in a phenomanal setting overlooking the lake. Hopelessly romantic old world feel- balconies overlooking the lake, Murano glass chandeliers and proseco under the stars. Pets allowed by request, charges apply. After a gruelling session in the hotel gym, reward yourself with a steam and a dip in the pool. The bar opens onto a terrace, beautifully lit at night, the perfect place to sit and sip proseco. 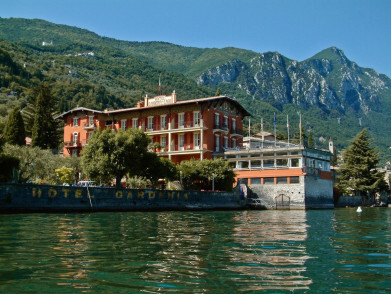 Lake Garda offers a variety of watersports from waterskiing to sailing and kayaking. The beautifully maintained gardens are a feast for the senses with bougainvillea, climbing roses, olive and lemon trees. Gargnano, one of the few villages on the Lake that still maintains its original structures, is only one km away. 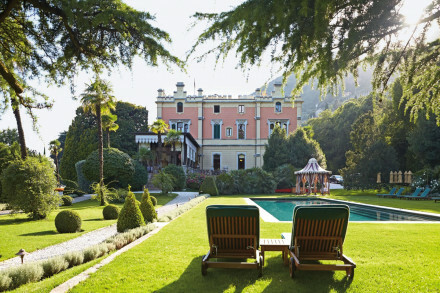 "No town better captures the lake’s understated magic than Gargnano, a sleepy enclave on its western shore and home to Villa Giulia, an idyllic escape that’s a perfect perch for reveling in Garda’s myriad delights."